A half-moon of sand, almost one kilometre long, that rises up towards a sea reflecting a thousand colours, surrounded by volcanic rocks and overlooked by lush Mediterranean vegetation. 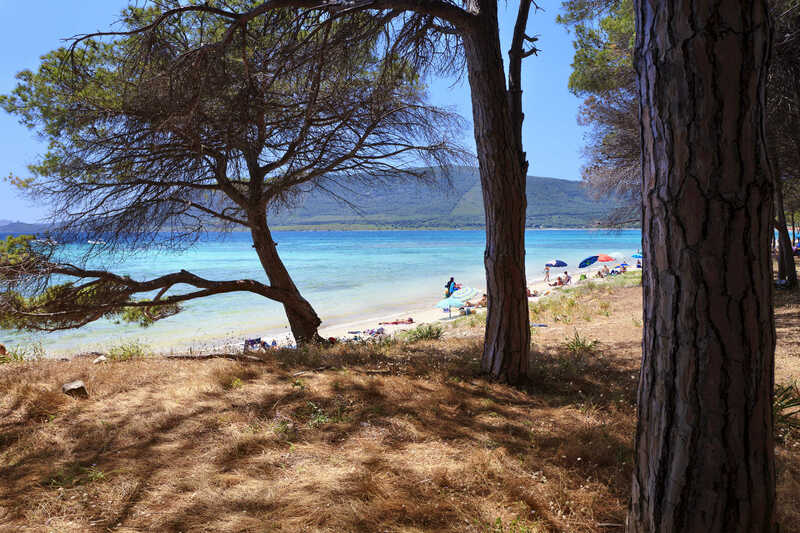 The beach of Le Bombarde is one of the gems in the territory of Alghero, as well as one of the most famous on the whole island, ten kilometres north of the town centre and just three kilometres from the district of Fertilia. It consists of fine, light sand with hints of ochre and it is washed by a sea with iridescent colours, ranging from green to blue. The sandy seabed slopes rapidly: the water is calm and transparent and is deep just a few metres from the water's edge. At the two ends, it is delimited by reddish rocks, while behind it there is a lush forest of maritime pines, eucalyptuses and Mediterranean shrubs. It is part of the regional park of Porto Conte, offering relief from the summer heat. Secluded and less frequented little coves are hidden in the vicinity. Furthermore, if you want to combine sea and archaeology, you will find the Nuragic complex of Palmavera not far from the beach. Le Bombarde offers all the amenities you need: in the northern part, there are beach establishments, hotels, a campsite, a bar and a restaurant. There is ample parking and you can enjoy scuba diving and windsurfing here. 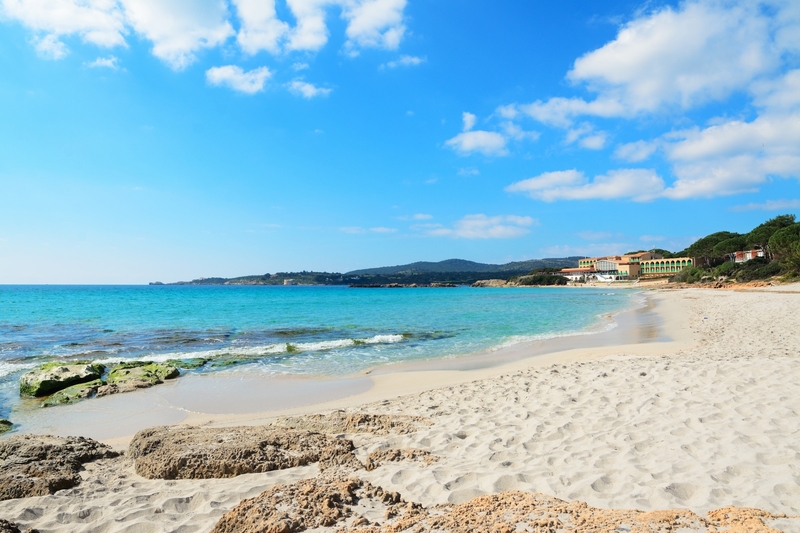 It is one of Alghero's many coastal gems: next to it you can visit the splendid beach of Lazzaretto. In the city, you can relax at Lido di San Giovanni, the large city beach and, at the exit towards Fertilia, on the sand dunes covered by centuries-old junipers of Maria Pia. Continuing on beyond the small village, there is the evocative inlet of Punta Negra. 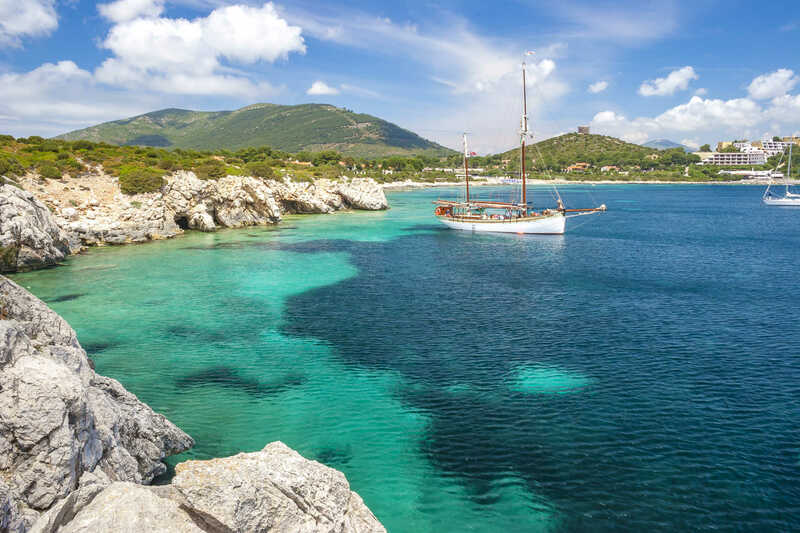 In the bay of Porto Conte, you will find the large, peaceful beach of Mugoni, the spectacular Cala Dragunara and Porticciolo. To the south, on the road to Bosa, you will meet the beautiful coves of Bona and Burantin and the quiet beach of Speranza. Le Bombarde is found in the locality of the same name, in the municipal area of Alghero. It is reached from Alghero, past the inhabited area of Fertilia on the SS 127bis main road. shortly after the 44 kilometre marker are signposts to the beach.